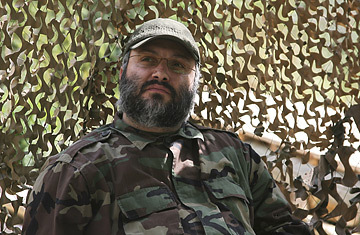 Imad Mughniyah, who was assassinated Tuesday in Syria, was a man of the Middle East's shadows. He was a terrorist mastermind behind political causes. For him, though, it was as much about the fight as the cause. He shunned the light. He never gave public speeches or lectures. He is not known to have given any press interviews, not even to sympathetic or politically aligned journalists. Western reporters who sought the Lebanese Shi'ite group Hizballah's help to arrange a rendezvous were politely but sternly advised not to go there. So, did the CIA or some other American intelligence agency finally do Mughniyah in? Everyone, including some of his friends, may have had a motive. U.S. officials told TIME today that Mughniyah had traveled to Iraq to train the Shi'ite warlord Moqtada al Sadr’s Mahdi Army. Mughniyah, says one American official, was Hizballah’s "chief of external operations" and "considered the key to their military activity." U.S. officials acknowledge that American spy agencies had intensely been tracking Mughniyah the past five years as he moved between Tehran, Baghdad, Damascus and Beirut. Apart from his ties to Hizballah, Mughniyah was also believed to have worked closely with Iran. A U.S. official confirmed reports that in 2006, Mughniyah accompanied Iranian President Mahmoud Ahmadinejad on a trip to Syria and met with Syrian President Bashar al-Assad. In the 1980s, he had been accused of everything from bombing the U.S. embassy and U.S. Marines barracks in Beirut to the kidnappings of American journalists, academics and the Beirut CIA station chief. More recently, some have claimed that Mughniyeh collaborated with Osama bin Laden. After al-Qaeda's top guns, Mughniyah has the highest price on his head of any terrorist wanted by the FBI  $5 million. Hizballah immediately blamed Israel for Mughniyah's assassination in Damascus, Syria, Tuesday night. Israel's Mossad spy agency is a reasonable suspect, given Israel's determination to bring him to justice for his alleged involvement in the 1990s bombings in Argentina of the Israeli embassy and a Jewish cultural center. Israeli intelligence has a good history of eliminating terrorist masterminds, even when they are located in unfriendly Arab capitals. A U.S. official told TIME that Mughniyah had been linked to the 2002 discovery of 50 tons of weapons by Israeli Navy commandos who intercepted a freighter called Karine A in the Red Sea. More recently, said the U.S. official, Mughniyah was connected to the kidnapping of Israeli soldiers that led to the July 2006 invasion of Lebanon. The Israeli Prime Minister's office issued a statement denying any involvement in Mughniyah's killing. A senior ex-intelligence official told TIME: "The Americans wanted him, so did the Saudis and the Lebanese Christians. We weren't the only ones." Still, the former official, who asked not to be identified, has been hunting Mughniyah for over 20 years and described him as "a fanatical killer." "It was as if a big stone had been removed from my heart," he said.